After wearing his composite veneers for over 12 years, they became discolored, chipped, rough and worned out, his wife finally convinced him to go for Porcelain Veneers. He was not disappointed and he loves his new smile. You can see the dramatic change, We fixed the shape,the length, the texture and of course the color of his teeth. Even the patient's face is different his has a radiant attractive and a very noticeable smile. The first is a consultation appointment in which the doctor will examine the teeth and discuss the results you hope to achieve. 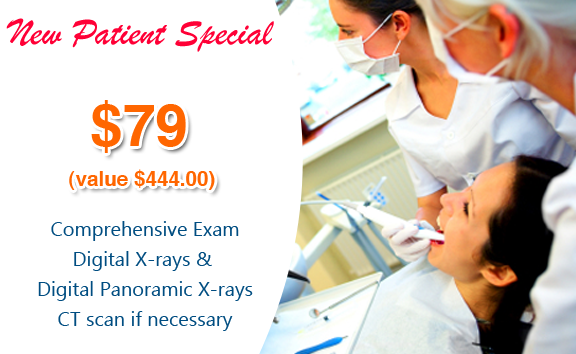 The dentist will discuss the procedure with you as well as what results you can reasonably expect. The second appointment is to prepare the teeth for the veneers. Your doctor will remove approximately Â½ millimeter of enamel from the surface of the tooth, which is approximately the thickness of the veneer that will be added to the surface of the tooth. After the enamel is removed, the dentist will take an impression of the teeth. The impression is used to create your veneers. Chris, s case Title is: "No prep Porcelain Veneers "Lumineers": Sean wanted to change her smile, She wanted an attractive and noticeable smile without the grinding of the enamel off her teeth. This case was done with minimal removal of tooth structure and the thin Veneers were less then 0.5 mm.